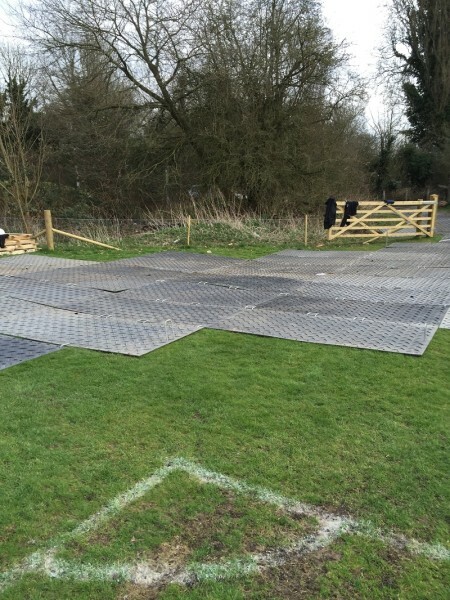 An infrastructure management consultancy required access for a 20 tonne drilling rig and light commercial vehicles across a pitch at Hersham Football Club in Weybridge. How could they mobilise their assets without tearing up the soft ground during the wet winter months? 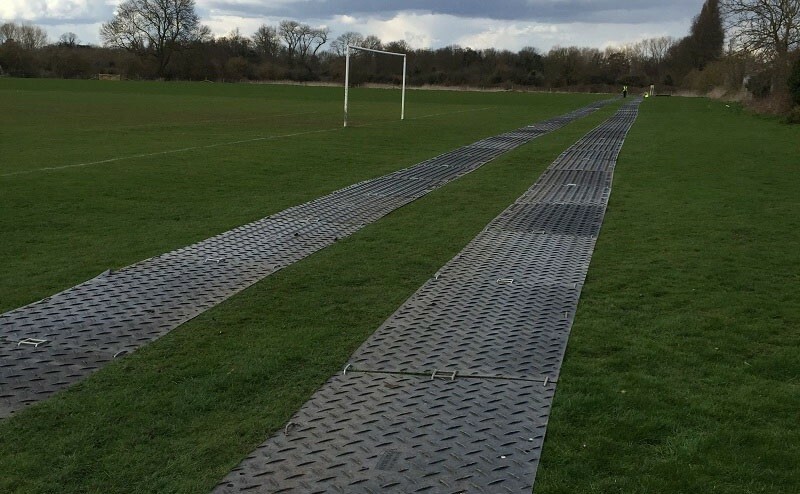 Ground-Guards recommended the installation of a temporary twin trackway across the pitch using MultiTrack mats. These would join with a 15m2 pad area which would cater for vehicles that needed to turn or park. 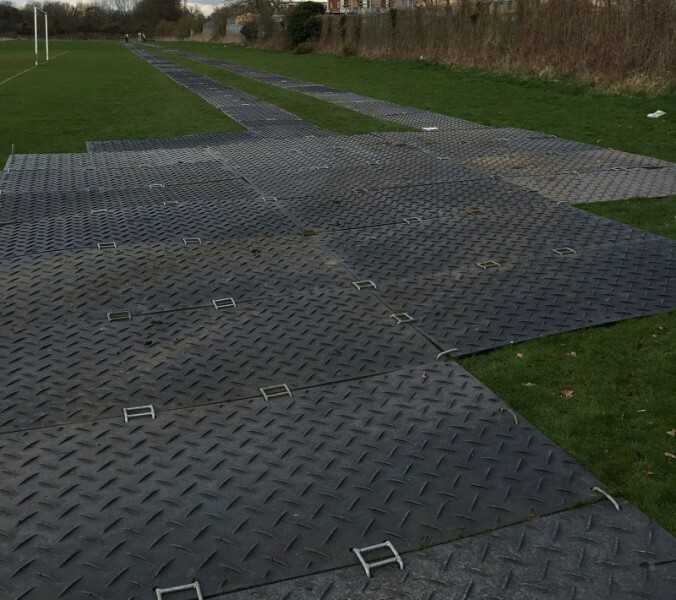 MultiTrack is a great choice for this project as the mats are lightweight, portable, easy to install by hand and incredibly strong: guaranteed unbreakable up to 120 tonnes! 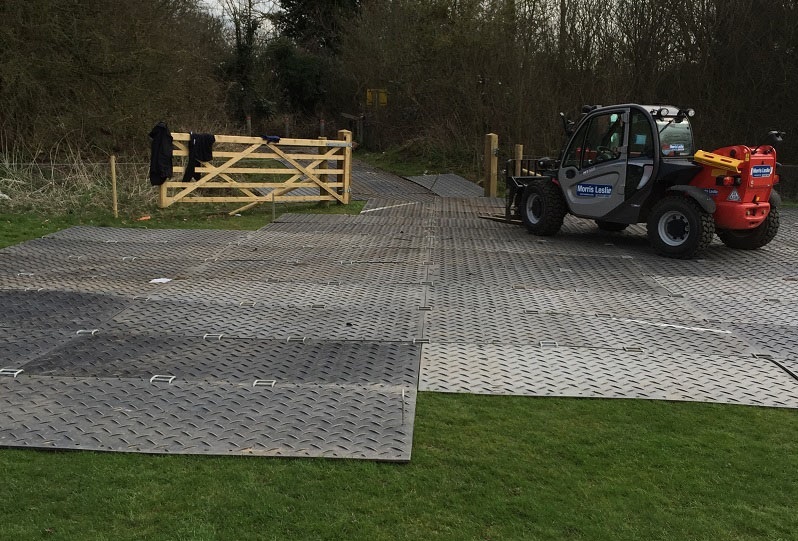 A neat and tidy trackway and pad area – strong, reliable and efficient – was built in next to no time, providing perfect ground protection for the soft grass underneath whilst minimising disruption to the football club.